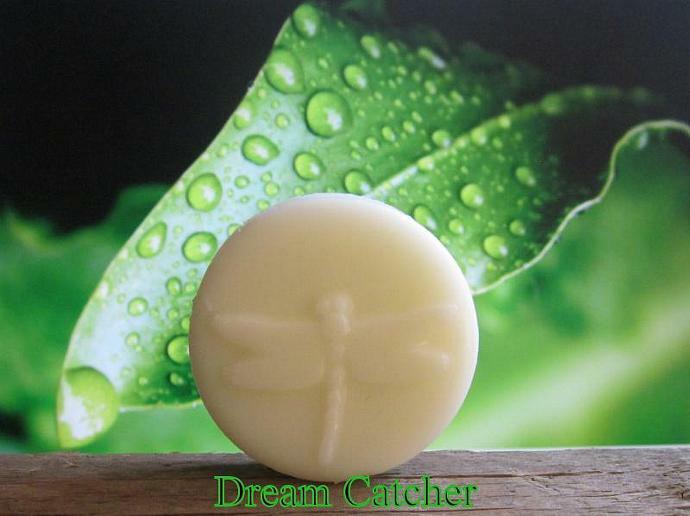 Dream Catcher scented Natural Hemp Butter Lotion Bar is one of the most beautiful, unique scents in the world! A soft, powdery floral with undertones of designer perfume. Bar measures 1 3/4" across and 3/4 high. Tired of using lotion bars that feel like you’re rubbing a cheap wax candle on your body? 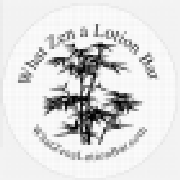 What Zen a Lotion Bars Organic 100% Natural Lotion Bars are soft, smooth and silky and so much easier to use than bars with so much wax they actually hurt when you apply them; just massage bar anywhere moisture is needed, the bar softens from body heat. 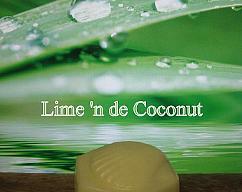 Smooth bar onto dry skin–hands, feet, elbows for non-greasy, silky smooth skin. Each comes in a personal tin with a continuous threaded lip so it’s an ideal travel companion, perfectly suited to meet flight regulation standards and fits comfortably into your luggage, purse, backpack or pocket. The Natural Hemp Butter Lotion Bar with light, nourishing creams will revitalize your skin and promote a healthier, younger-looking complexion from head to toe! Relieves chapped, cracked and dry skin with a silky barrier, keeping skin wonderfully smooth and hydrated. need more than one Lotion Bar, Custom Fragrance or add some Gold Sparkle (no extra charge) I’ll create a personal sales ticket just for you! "Plumeria” Organic Lotion Bar Extra Large 5 ½ oz. 100% Natural - Just like Mother Nature Intended! 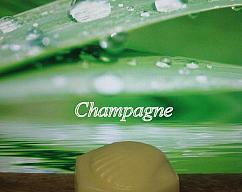 "Champagne” Organic Lotion Bar Large 4 oz. 100% Natural - Just like Mother Nature Intended! "Lime 'n de Coconut” Organic Lotion Bar - Large 4 oz. - 100% Natural - Just like Mother Nature Intended!